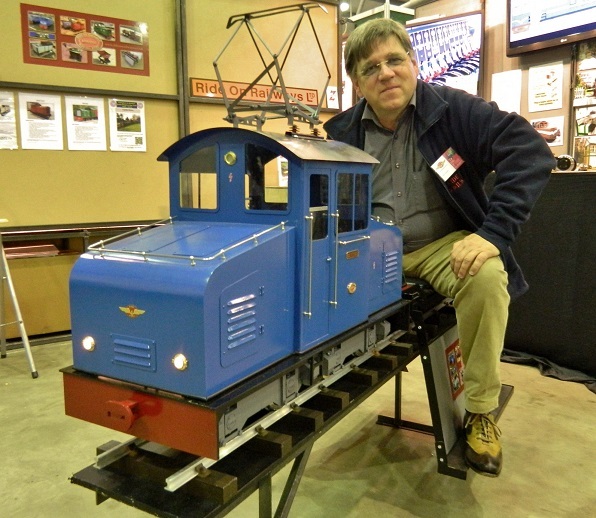 Ride on Railways is a family run business based in Romford, Essex producing quality engineered ride on railway items for 5" , 7 1/4" and 10 1/4" gauge railways. While initially aimed at the garden railway market, the robust designs have found themselves equally at home on the larger private and club layouts. In 2008 we moved to a small business unit along with investment in workshop equipment which we couldn't previously accommodate. Where ever possible we use UK manufactures/suppliers but we have to be realistic as we all live in a global market. When we started back in 2001 I would never have dreamed of building more than more than a handful of locos. It is a growing business and as such it is a learning curve for us. While we want to keep costs down, commercial rent, insurance, VAT and rates are all costs which we didn't used to have when the company was small and working out of a home workshop. If you are unsure please feel free to pick up the phone or come and see us. There are no real hard and fast roles in the company although if you have bought an engine in the last 2-3 years then it would almost certainly been welded by Paul and assembled and painted by Barry. David M thinks he can retire but is still actively running the financial side of the company. 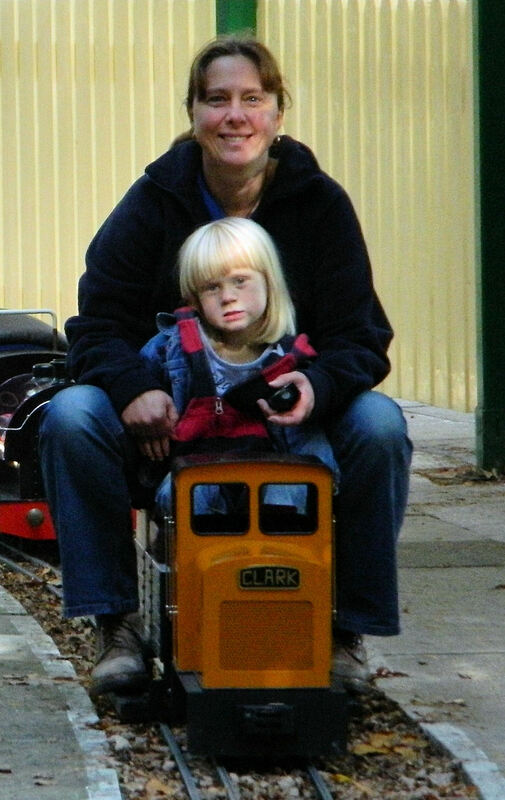 There is also my mum who plays the host on the garden railway + my three children who are always testing items to destruction for me. We will look after you. 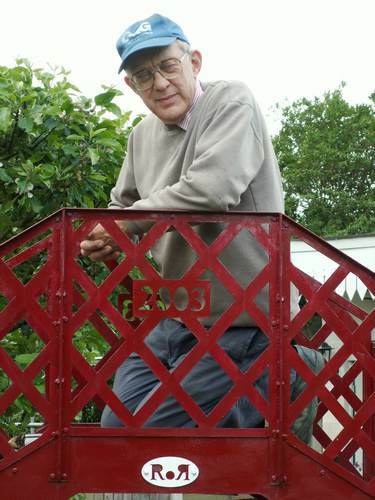 It is in our interest to keep your locos and rolling stock running. We will fix or sort any problems which are our making and help out with those that aren't (with in reason). Items will not be dispatched until invoices are paid in full. So if you under pay it will only delay your items. Whilst every effort has been made to keep this site up to date at Ride on Railways we do make changes and improvements to our range. As a result specifications and prices may vary from those shown. Prices shown do not include postage and packaging. Postage is via Standard Parcels Service with insurance unless requested or stated otherwise. Goods can be collected. It is not our intention to mislead you over prices or specification. Please talk to us if you believe that we have not made details clear. The website has become very complex and errors may have occurred. We recommend that you should get public liability insurance, if you are not covered under any club policies. This is especially important if you intend to carry public or non family members. 5" & 7 1/4" gauges are big enough to cause major injury, therefore adequate care should be taken when running. 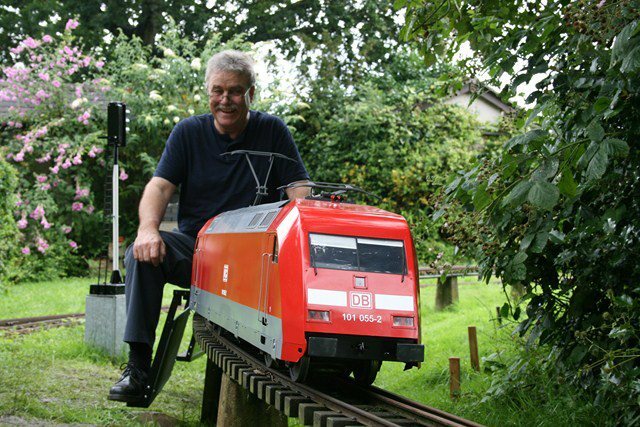 We would recommend you read and follow advice given by The Health and Safety Executive's guidance notes, Safe operation of miniature railways. ALL PRICES ARE SHOWN INCLUDING VAT. Outside EU we can ship less vat. For companies in other EU countries with a formal order, valid vat number (which checks out) and we arrange shipping we can ship at 0% vat. No collection. If we cannot prove beyond doubt that the order is a formal company one and the goods are going to the correct country/address then we will add vat on at the current rate. Distance Selling Regulations - Most items are made to order and therefore do not qualify for the statutory 7 day cooling off period. That said if you change your mind on a standard item or are not happy then please get the goods back to us for a refund. Return postage will be the responsibility of the buyer. We do not want to get lost in legal waffle. If you have problems or need help/advice then please get in touch. Our best prices are those shown on the website. We don't ask you to pay more so please don't ask if you can pay less. 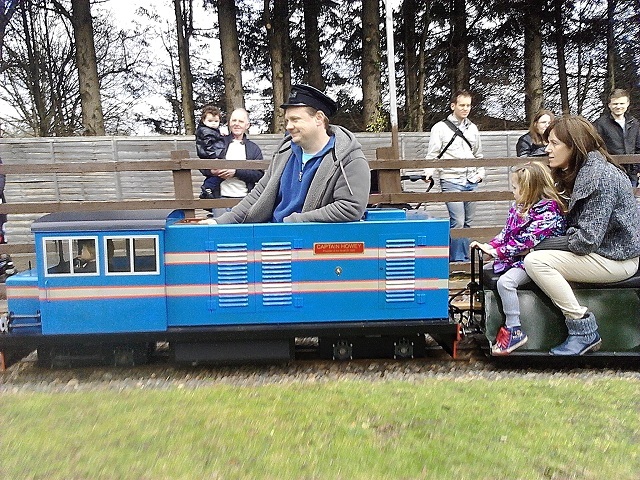 The RoR garden railway shown in various locations across the site is a personal railway and is developed as a hobby and not a business. Advice given is just that -"advice". What works for us may not work for you. If in doubt ask or contact any railway supplier. The best catalogue at present is the one you are reading now. It is cheap, full colour and even has video in it. I can print up a hard copy catalogue but its contents and style will not match those which a website can offer.